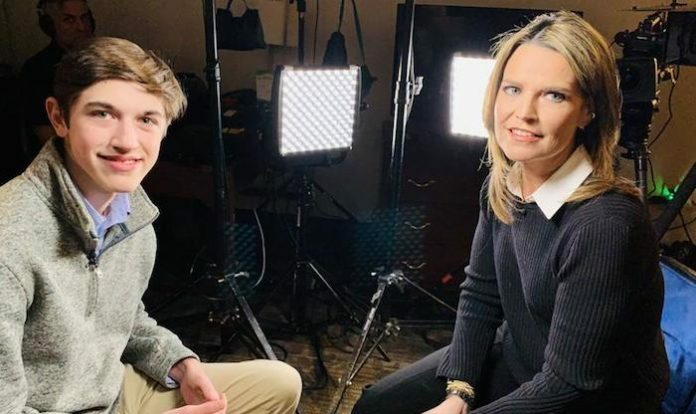 Covington Catholic High School student Nicholas Sandmann has hired one of the most powerful lawyers in America to sue mainstream media journalists who spread malicious lies and threats about him. In a major warning to purveyors of fake news, the Sandmann family have hired RunSwitch PR, Kentucky’s largest PR firm, to help them deal with media appearances, and has also now hired infamous Georgia attorney, L. Lin Wood. Wood has represented several notable people faced with media slander including former GOP candidate for president Herman Cain, the family of murdered child JonBenet Ramsey, and Richard Jewell who was falsely accused of being the Olympics bomber. The 16-year-old Sandmann has become the subject of repeated fake news reports after he was recorded standing smiling as a Native American man beat a drum in the teen’s face during a visit to the Lincoln Memorial in Washington, DC. Media reports quickly branded Sandmann and his schoolmates as MAGA hat-wearing racists who “surrounded” Native American Nathan Phillips and “taunted” him. But further video of the incident proved that the school kids remained in a fixed place while a group of radical black activists hurled vile insults at them followed by Phillips and his group of Native Americans approaching the teens and aggressively beating their drums in the teen’s faces. Early reports also claimed that the kids yelled “build the wall” at the Native American group, but no video shows any such taunting. Subsequent reports found that Phillips has a violent criminal record, lied about being a Vietnam veteran, and even recently tried to disrupt a Catholic Church service with his troupe of drum-beating activists.